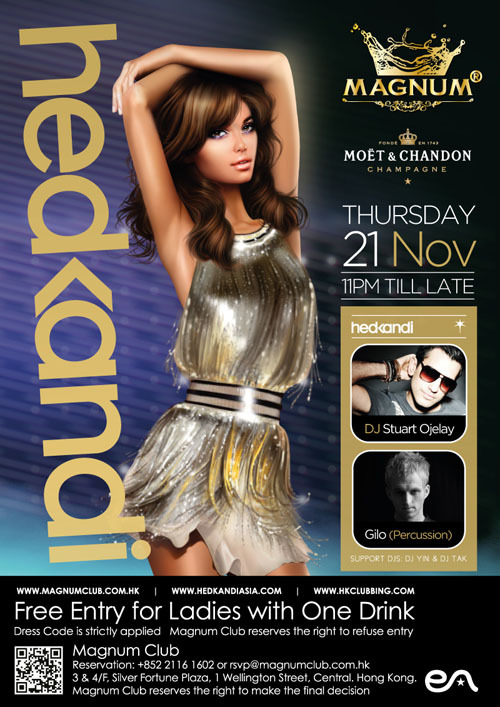 Magnum Club brings back the high-quality house music with Hed Kandi’s DJ Stuart Ojelay and Gilo on Thursday 21st November 2013. After their successful performance in June this year resulting with a packed venue and hyped up crowds, they are returning with more groovy beats for Hong Kong. Join the glamorous lifestyle brand Hed Kandi and experience the duo’s talent and magical chemistry. Ensure yourself an unforgetable night of great music and fun at Magnum Club!